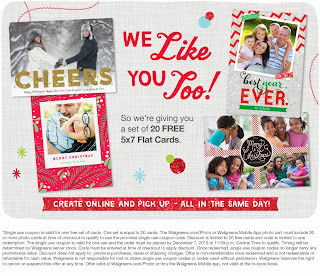 Go HERE to get a code to use at Walgreens.com to get 20 free 5x7 photo cards. 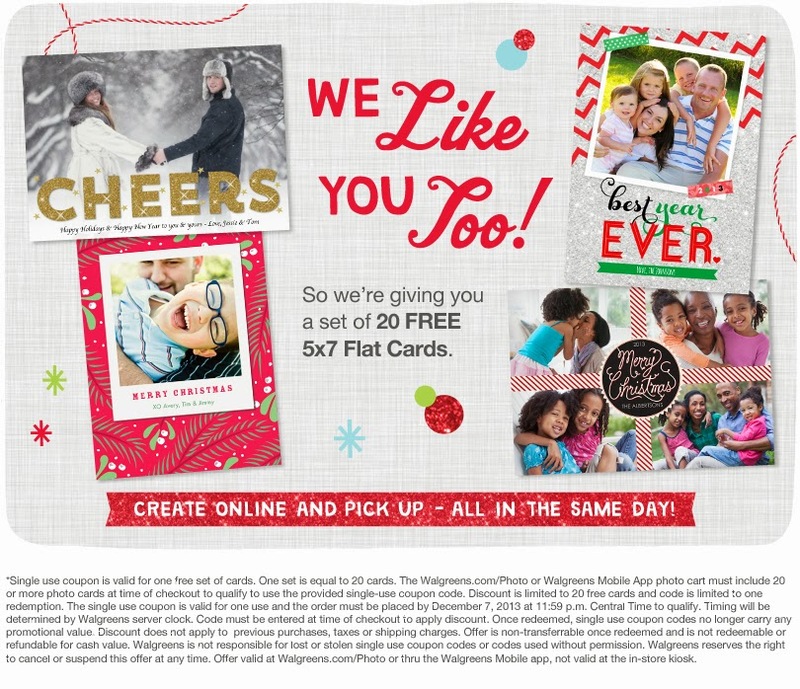 The code does expire December 7th. This would be great to use for Christmas cards.